Ondrea L. Davis is a native of the Washington, DC Area and a graduate of South University earning a degree in Business Administration with a concentration in Accounting. She is currently pursuing her MBA. 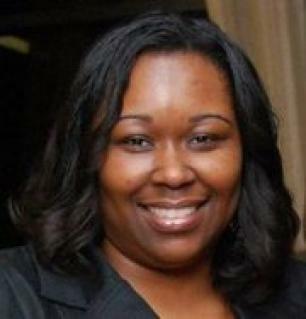 Davis is a 33 year old mother of three who resides in Upper Marlboro, MD. She is also the owner of a growing Accounting & Consulting firm. Ondrea recently debuted the controversial thought-provoking non-fiction novel, How could my husband be Gay? in which she co-authored with J'son M. Lee. It is an autobiographical look into her life. B2M presents our exclusive interview with Ondrea L. Davis. ONDREA: "How could my husband be GAY?" is an autobiographical look into the emotional journey I took during the course of my marriage as I maneuvered through the pain, betrayal and deception that I encountered at the hands of my husband. On the outside, my life seemed to be nearly perfect with a new home, who I thought was the perfect husband for me and our three beautiful children. My world was slowly shattered when I found out that my husband was nothing close to the man I thought I married. This novel sheds light on the repercussions that surface as a result of one person’s decision to create a family unit and then do everything in his power to destroy it to get what he wants. B2M: Was it a difficult decision to be so open and share your story with the world? ONDREA: On one hand it was difficult because I knew that everyone would know the pain and heartache I went through. This is an embarrassing situation, especially because many people tend to think that I should have known up front although that was not the case at all. On the other hand, the chance to help someone with my story far outweighs any reservations or embarrassment that I may experience. If this book can help a young lady to think about how her decisions can affect her future before she makes them, then I am satisfied. Or even if it opens the eyes of a young man who is dealing with these types of issues to realize that getting married does not solve anything, then I am content with sharing with the world. B2M: What message do you hope your story will convey to readers? ONDREA: I would love for readers to take away a couple of messages from this book. First, I would like for readers to know how important it is to consider all possible outcomes before making pertinent decisions. As in this case, marriage is such an important move and should be scrutinized carefully before making such a choice. Many times we walk into relationships with our eyes shut. If we would only open our eyes, we would be able to see the potential flashing signals that would scream at us to beware or simply proceed with caution. Second, I hope readers see that you may be broken by the attacks of others, but you don’t have to let them destroy you. There will possibly be instances when we will be betrayed, and completely hurt by the people we love, but there is always enough strength to pick yourself up and transition forward to bigger and better things regardless of the intent of the attack. And last, but not least, readers can take away that love can conquer all…if we allow it to. The love that I had for myself and my children, as well as the love I was shown by those that supported me, was the agent that elevated me above my brokenness. At the same time, when we seek to genuinely love ourselves and others, we do not have to fall prey to traps that would cause us to willfully inflict pain such as I suffered, on those closest to us. B2M: Who has been your source of inspiration? ONDREA: The source of my inspiration has been my family and the Foresight Publishing team. I have three young children who have been my motivation from the beginning to continue to pursue higher levels of success in life that I did not think I would be able to attain. At the inception of this project, Foresight was the encouragement that I needed to complete the book and deal with many of the unresolved emotions that had been put on the back burner until then. It was a much needed process and positive experience to have such a great support system between my family and writing team as I sorted through the baggage I was left with as a result of my marriage. B2M: What has been the most striking fact that you have learned about the process of writing? ONDREA: The most striking fact I have learned about writing is that it can be such a liberating and therapeutic process. Since I had not dealt with many of the feelings I experienced for years since I separated from my ex-husband, I had to now confront all of that to write this story. Writing for me became an avenue to release much of the emotion that I had restricted myself from feeling. B2M: You got the opportunity to work with author; J’son M. Lee on this project. How helpful was it to have him assist you with the creative process? ONDREA: J’son is a wonderful person and an outstanding writer. He introduced me to the literary world by helping me to find my own voice as a writer, which surprisingly was very similar to his. It was important to both of us that the story be told as my own and not just a novel that was completely originated from his own imagination with only a touch of my reality, which I appreciated. J’son’s guidance and creativity he injected into this project was invaluable and has contributed to the foundation of who I am as an author. I definitely look forward to working with him again in the future. B2M: What do you enjoy doing in your spare time? ONDREA: In my spare time I enjoy singing, reading, traveling, working with the youth at my church and spending quality time with family and friends. B2M: In your wildest dreams, what do you envision as your legacy as a writer? ONDREA: I love to read books where I can picture in my mind what is taking place and I am emotionally drawn in. So in terms of my legacy as a writer, I envision that readers will be able to walk away from reading my books and feeling like they were a part of the story themselves. At the same time, I would like for them to take away something beneficial that they can then use to make their own lives more meaningful and positive. If a story line makes them re-think a decision or simply learn more about themselves as a person, we have done our job as effective authors. B2M: What can our readers expect from you in the near future? ONDREA: In the near future, we will be traveling to promote this title and have discussions about how marriages are affected by situations such as mine. We hope that these discussions will pull some things from under the carpets where we tend to hide them and get them out in the open where they can be dealt with and help and healing for all parties can begin. In addition, readers can expect a second project which is currently being planned and provides another angle to consider in relation to "How could my husband be GAY?" B2M: We encourage you to continue writing books that offer great stories with interesting characters. We look forward to hearing more from you. You are welcome to visit the website of Foresight-Publishing to learn more about Ondrea L. Davis at www.Foresight-Publishing.com.